Today, Giving a presentation for a variety of purposes has become more important than in the past. Now a days, Many people uses "wireless presenter" in the presentation, because it's convenience and effectiveness. 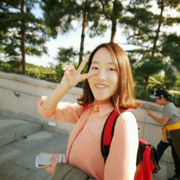 Also, Presenter applications which are executed on Mobile phone has gained its popularity. However, "wireless presenter" only supports back or previous button. If we want to go middle of the pages or move to link included on the slide, we should go in front of the PC. Presenter application is hard to use. Users should know professional network knowledge something like IP address, port number, firewall and so on for using app. 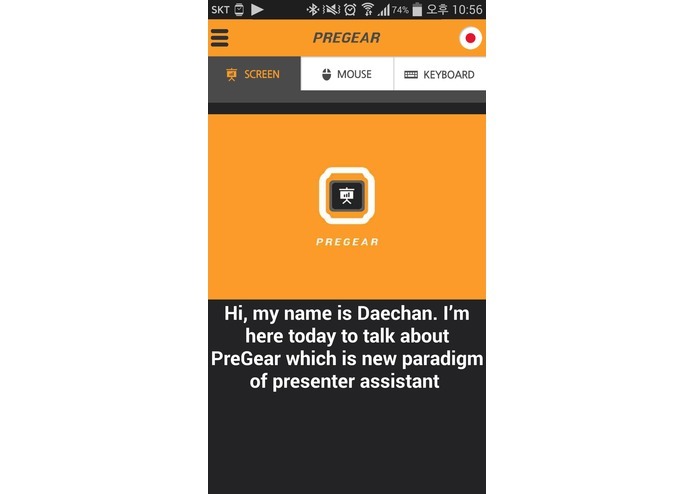 However with PreGear you can use Presenter without the knowledge about computer. 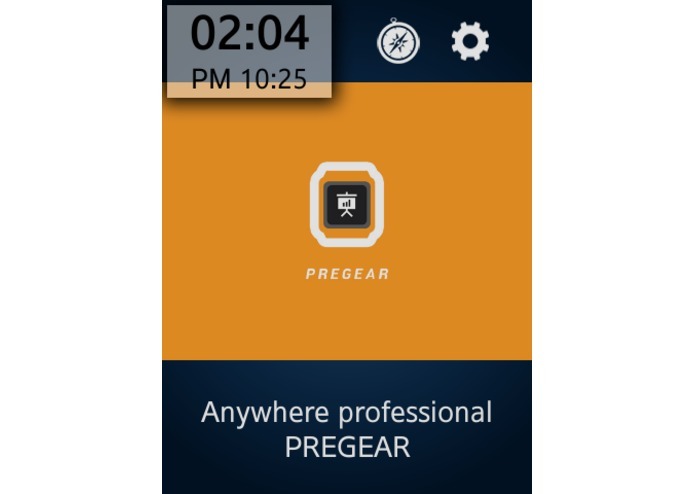 Just visit our site (http://PreGear.net) and upload your PPT file. Then input the code on your smart phone which is shown on the site. That's all! Now, just enjoy your presentation. PreGear is easiest ever. Let's following these steps. Step 1, Visit our site (http://www.PreGear.net). And click the Orange button. Step 2, Select the file that you want to present. Step 3, When upload is completed, you can see 8-digits. 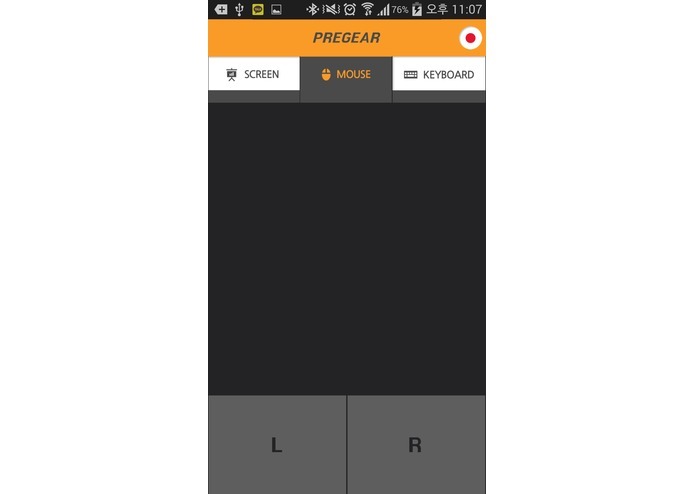 Step 4, Just put the code on your PreGear application and press START PREGEAR!. 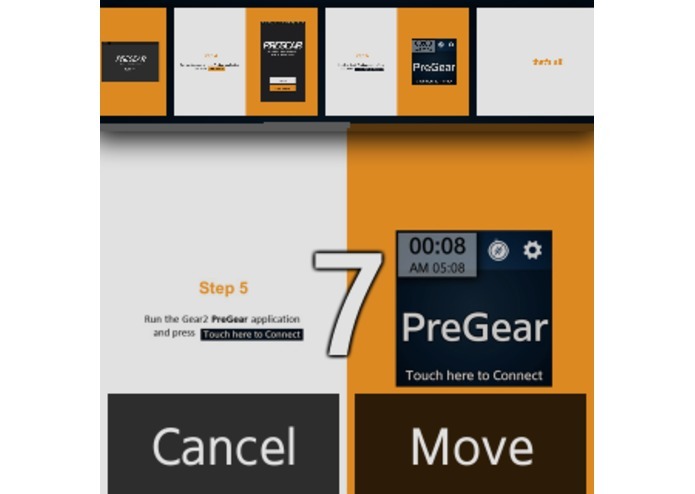 Step 5, Run PreGear application on the Gear2 or GearS and press Touch here to Connect. 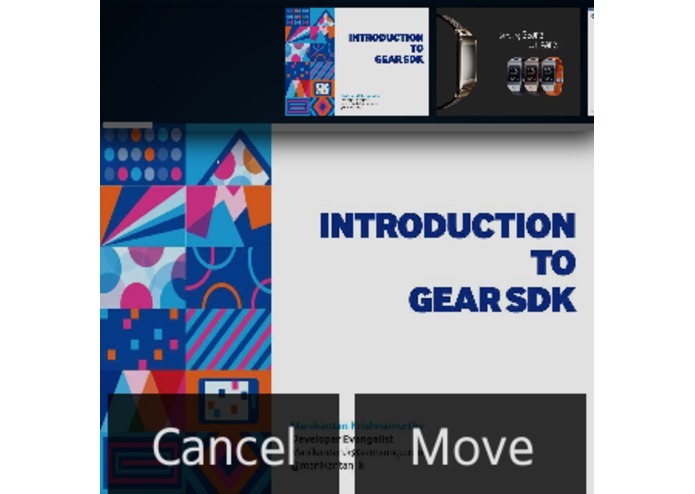 If the connection is established, you can share the presentation on your Gear and Mobile. When you swipe on the screen which is shown, you can go to next or previous page. Also, You can go another page that you want by using Slide Timeline. Slide Timeline offers you to move specific pages. You can find slide by Slide Timeline menu. 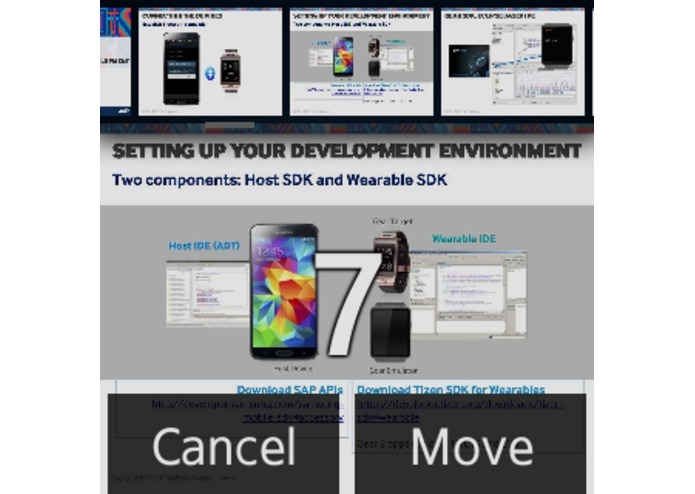 Left or Right swipe motions are available, and thumbnail of center position will be shown on main view with the page number. If you touch the Move button, you can go to the page. You can take notes with Pen or Highlighter. 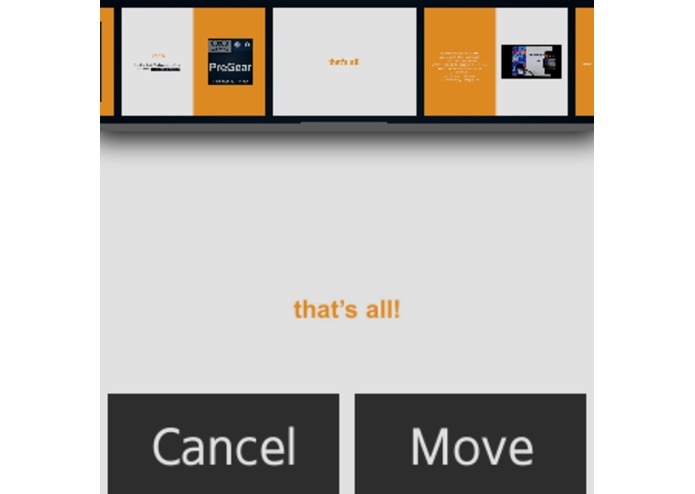 Touch the Option button and choose what you want. If you draw on the display, the path which you draw would be shown on PC! Also, you can use this feature by smart phone. 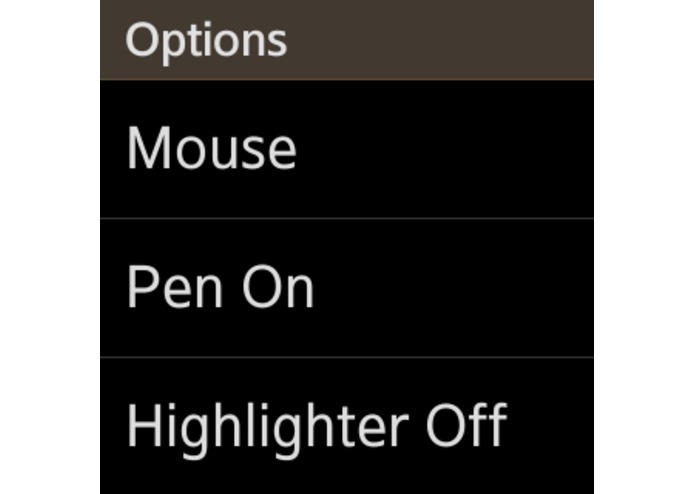 You can control your PC mouse pointer by using Gear2 and smart phone. Click link included in PPT without going to near the PC. You can control your PC keyboard by using your Gear and smart phone. It is enough to control the PC keyboard. Just input the text on your smart phone and click the send button. In addition, you can use shortcut. Enter, Esc, PageUp, PageDown, Alt+Tab, Shift+F5 and F5 keys are available. It will help you to control the PC during presentation. 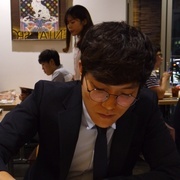 You can record the presentation by smart phone. If you touch record button, record would be started. It record everything not only voice but also changing of presentation page. When the presentation is finished, touch the stop button. It allow to save record. The record is available on history menu. If you swipe left, the history menu would be shown. 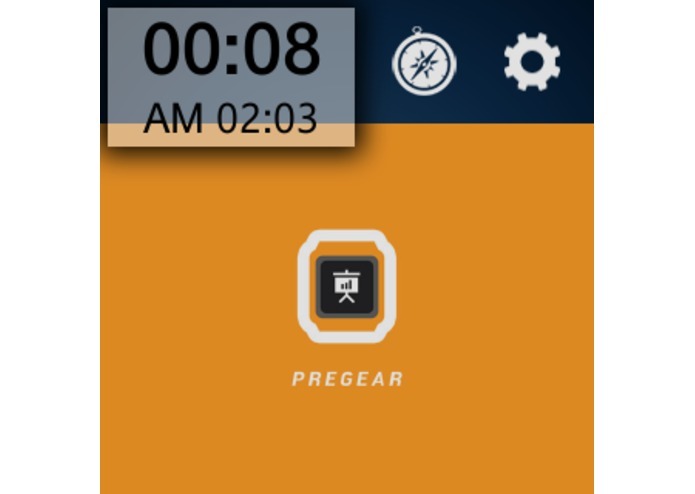 PreGear supports Gear 2 and Gear S completely. 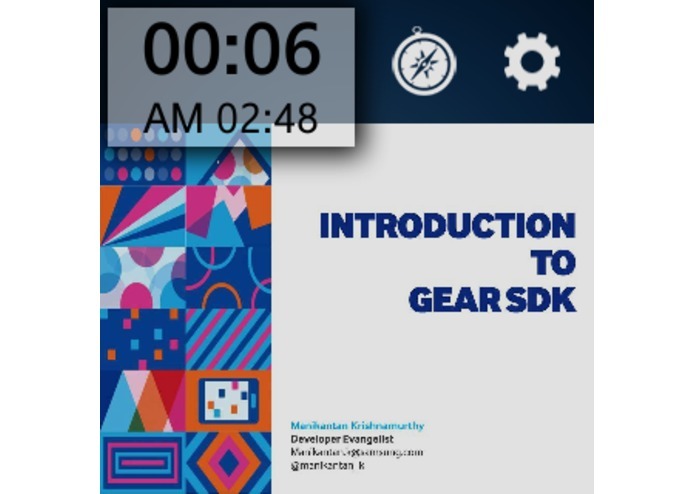 Gear S display, which is wider than Gear 2, shows more big slide view and simple script prompt. Users can easily open PPT files on everywhere by using Cloud storage. If public option checked, other users could see the presentation. Users can manage presentations via the Web dashboard. Replay available, Download before presentations by using History feature.